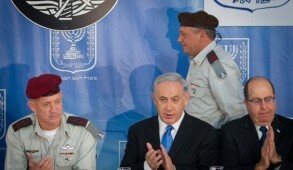 In the midst of a bitter war – one that Israel sought to avoid – the statements and initiatives from U.S. President Barack Obama and his inept secretary of state, John Kerry, have convinced Hamas that if they maintain their campaign of terror against Israel and the civilians of Gaza, the international community will intervene on their behalf. From Israel’s vantage, despite the continuing tragic losses, there can be no turning back until the weapons of destruction and the tunnels are neutralized. Failure to achieve this will doom us to a future and possibly even more dangerous confrontation with these genocidal barbarians. Prime Minister Benjamin Netanyahu’s leadership has been exemplary. Despite extraordinary pressure from all sides of the political spectrum, he succeeded in charting a responsible policy. The initial restraint, his acceptance of the Egyptian terms of cease-fire and his avoidance of demagoguery, united the nation and even scored points among open-minded circles in the international community. The most incredible aspect to this conflict was the almost total effectiveness of the Iron Dome, which neutralized missiles directed to our heavily populated cities, and thus precluded an otherwise much more extensive and costly ground operation. 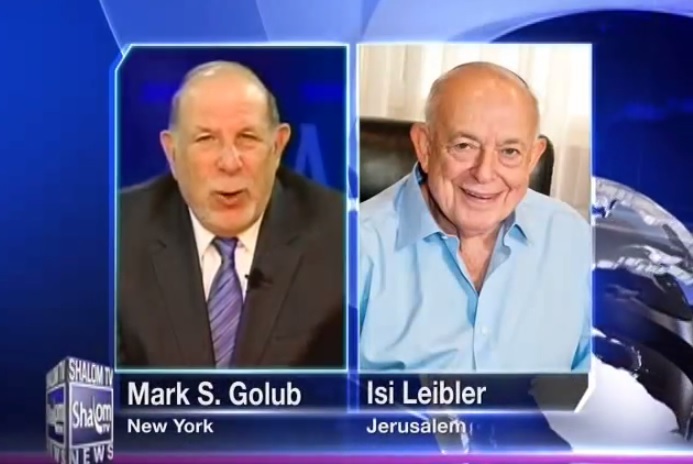 Yet we suffered a profound shock at the discovery of the extent and sophistication of the underground city Hamas had constructed with prolific tunnels entering into Israel – even into public dining rooms of kibbutzim – creating a scenario for horrifying mass terrorist abductions and massacres of 9/11 proportions. The Western media’s sympathy for Hamas, inciting hatred against Israel by their excessive display of gruesome images of children killed, was completely out of context. That Israel possesses the fire power to level Gaza to the ground, if it intended doing so, was ignored. Rarely did it acknowledge that Israel had accepted cease-fires which Hamas had rejected. Nor that Israel maintained a flow of humanitarian aid, electricity and water to Gaza and that terrorist casualties were treated in Israeli hospitals. In fact, Israel even established a field hospital for the sole purpose of treating Gazan civilians. Whereas no army in history has ever gone to the extremes of the IDF to minimize civilian casualties, the obscene U.N. Human Rights Council dominated by dictatorships and rogue states, has launched an investigation of what it has already defined as “Israeli war crimes.” In what is clearly intended to be a repeat of the notorious Goldstone Commission, there is not even the pretense of objectivity and no call to investigate Hamas. The U.S. voted against this travesty but the Europeans, to their discredit, abstained. Predictably, this led to a global eruption of massive anti-Semitic demonstrations and violence, condemning Israel for allegedly targeting or being indifferent to the fate of Gazan civilians. In this context, we appreciate that the American people and Congress have displayed overwhelming support for Israel and remain grateful for the financial support sponsored by Congress that enabled us to create and produce the Iron Dome. Yet the diplomatic posturing of the Obama administration has been utterly deplorable at a time when we are entitled to rely on the U.S. to fully support its only genuine democratic ally in the region. 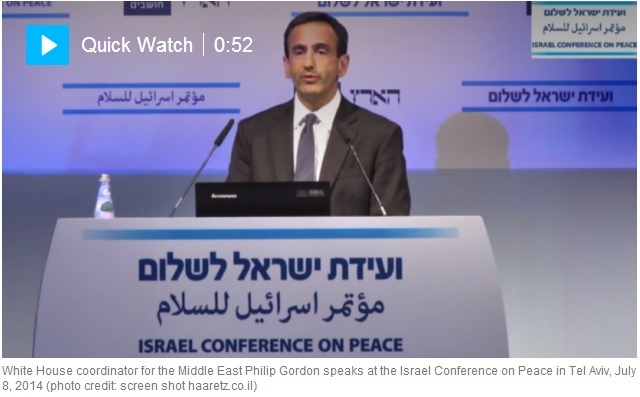 Israel is confronting genocidal Hamas, the equivalent of al-Qaida, whose charter explicitly calls for the destruction of the Jewish state, and enjoins its supporters to murder Jews whenever the opportunity arises. This same terrorist organization condemned the United States for the murder of bin Laden. Our current conflict is not between two states but against a barbaric genocidal terrorist organization which the U.S. itself regards as illegal. This is a clear case of good versus evil – surely something Americans unlike postmodernist Europeans, do instinctively appreciate. Aside from incanting mantras of Israel’s right to defend itself, Obama has yet to condemn Hamas for exploiting its civilians as human sacrifices. Instead, from the outset he has sought to restrict Israel’s military response, repeatedly urging restraint and “proportional response”. Obama set the pattern which the rest of the world followed, providing Hamas with expectations that with growing civilian casualties, Israel would be pressured to step down. The hypocrisy of Obama and others in their condemnation of Israel is mind-boggling when reviewing the various military initiatives and drone attacks undertaken by the U.S., NATO, France, et al. The odious moral equivalence must also be viewed in the context of 180,000 innocent civilians literally butchered in Syria, and with the massacres of the ISIS in Iraq and the rest of the region. As the Israel Defense Forces continue to eliminate the myriad of terrorist tunnels, Obama stepped up his calls on Israel to act more “proportionately,” expressing horror at the casualties and indicating that we are not doing enough to protect civilians. 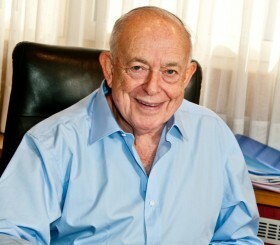 He even stated that once 1,000 Palestinian casualties have been reached, he would force an end to the conflict. It is also widely believed that the Federal Aviation Administration decision to temporarily halt flights to Israel was a calculated political ploy by the Obama administration to further exert pressure. Precisely what further steps does Obama suggest Israel should take to minimize civilian casualties without endangering its own citizens? Would the United States or any responsible government enable terrorists to maintain their operations from mosques, hospitals, schools and homes and continue indiscriminately raining thousands of missiles on its citizens? It is ironic that in the present context, the Europeans, traditionally disposed to be hostile to Israel, passed a resolution not merely condemning Hamas attacks, but also demanding the demilitarization of Gaza — something that Obama, who merely calls for a return to the conditions governing the former “truce,” has yet to demand. The uninvited presence of Kerry — who many Israelis now regard as an unguided missile — and who has been making off-the-cuff sarcastic remarks about Israeli failure to avoid Palestinian casualties, will only encourage Hamas to maintain the missile attacks. 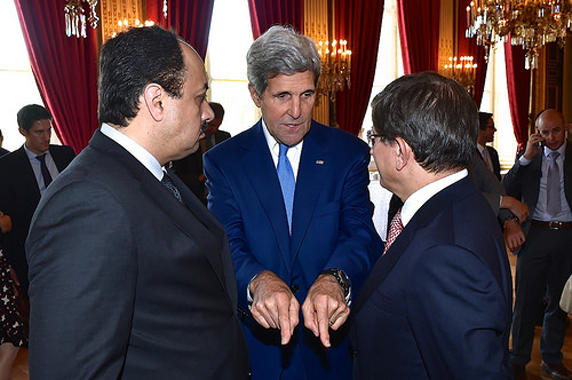 Kerry undermined the Egyptian cease-fire initiative by inexplicably turning to Qatar and Turkey to act as mediators. Qatar, regarded by the U.S. as an important “ally,” with whom it recently signed an $11 billion arms deal, is a Muslim Brotherhood-dominated entity and the principal funder of Hamas and ISIS. Turkey’s demagogue Prime Minister Recep Tayyip Erdogan is an outspoken hysterical anti-Semite who accused Israel of engaging in “barbarism worse than Hitler.” Needless to say, Israel cannot be expected to engage with those who openly promote the Hamas agenda. His final act of betrayal of Israel was his repudiation of the Egyptian cease-fire which Israel had accepted. Instead Kerry conspired with Qatar and Turkey (see photo) to seek to impose new cease-fire terms which would prevent Israel from destroying the tunnels it had discovered and he provided undertakings that the “blockade” of Gaza and release of Hamas prisoners and other concerns would be reviewed, with no reference to the demilitarization of Hamas. 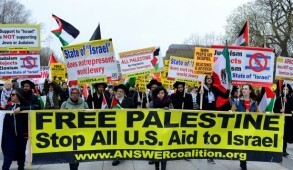 The Israeli Diplomatic-Security Cabinet unanimously rejected this offer placing Israel in direct conflict with the U.S. 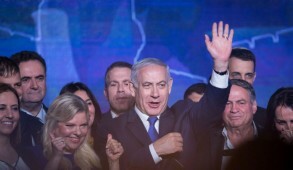 The Netanyahu government is fully aware that Israel cannot accept a long-term cease-fire that would enable Hamas to again attack Israel with missiles or renew their building of terrorist tunnels into Israel. The U.S. will also be committing another blunder if it seeks to recycle Palestinian Authority President Mahmoud Abbas to resolve the impasse. 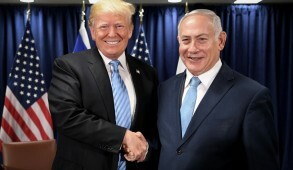 While initially he had backed the Egyptian cease-fire and was happy to see his “partner” Hamas under pressure, he has now decided to throw his lot with Hamas and the radical jihadists. Israel can no longer contemplate negotiations with the PA so long as it remains associated with Hamas. Defensible borders are now an absolute must. With the collapse of the artificial Arab nation states created by the Sykes-Picot treaty in the aftermath of World War I, no borders are sacrosanct, certainly not armistice lines that have never been formally recognized as international borders. Under no circumstances can we contemplate returning to the indefensible 1949 armistice lines. It is now also clear that should a Palestinian state emerge, it must be totally demilitarized with the IDF retaining security control. We should also cautiously seek to engage with Egypt and other pragmatic Arab countries that are opposed to the jihadists and Muslim Brotherhood. We still look toward the American people and Congress to support us in this struggle of good versus evil. We do not ask for Americans to shed their blood for us but we expect their full diplomatic and political support in this battle against a murderous global Islamic fundamentalist movement.